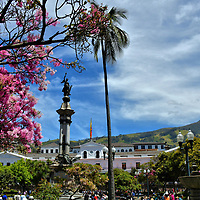 The capital of Ecuador is Quito, located in the Andes at an elevation of 9,350 feet. 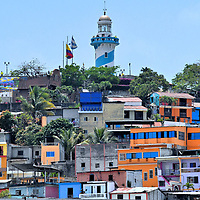 The city was founded in 1534 after the Spanish conquered the Inca Empire. Nearly 300 years later, the Spaniards were defeated, leading to the freedom of Quito and then Ecuador. All of these milestone events and more are alive in the streets of Historic Centre. Quito is the first old town to be designated a UNESCO World Heritage Site in its entirety.